This is a bit of an odd one for me, I'm hoping someone here might have some advice. We have a couple mac users in the office, and a few of them have been reporting this box has been appearing sporadically. Any advice? 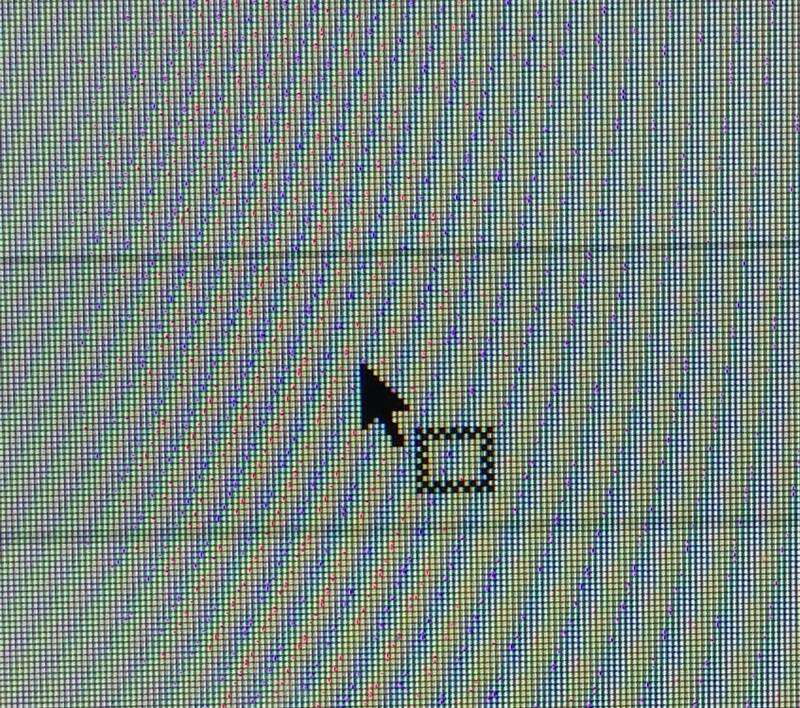 This is on a MBP 11,5, I've checked most of the accessibility settings, mouse settings, tried a different mouse, the issue still persists. EDIT: Still no luck, I haven't had a lot of time to troubleshoot but after messing with pretty much every accessibility setting I'm fairly convinced its not that, going to try a new monitor in a desperate attempt. EDIT 2: I haven't been able to find a solution to this issue, any help at all is greatly appreciated! I have yosemite, and i found a setting that does what you're describing but does not look quite like yours, for me it creates a box AROUND the mouse. Then when you're here you should uncheck 'Show preview rectangle when zoomed out'. If its not checked, check and uncheck it for good measure. Not the answer you're looking for? 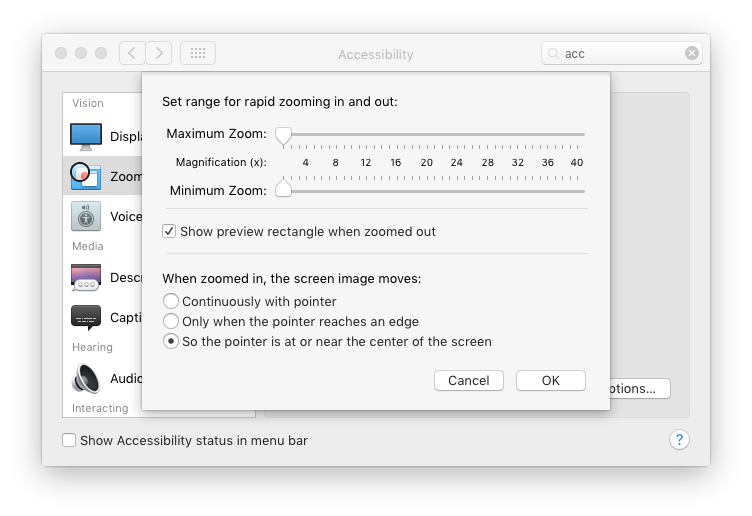 Browse other questions tagged macos accessibility mouse cursor . Is it possible to make a mouse accelerate like it did in Windows? Any advice on troubleshooting instability in Mountain Lion OS X 10.8.4?